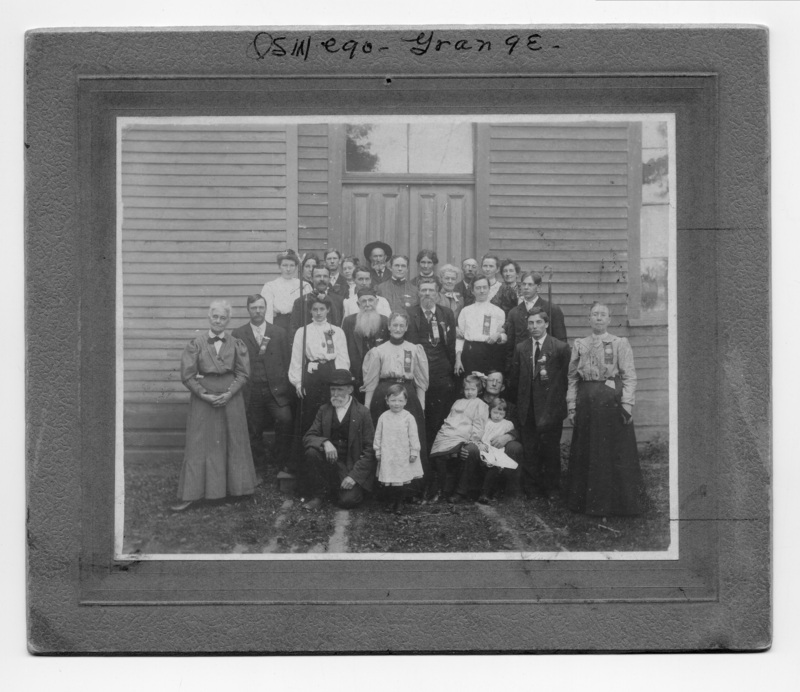 Grandma Gage; Harry Borland; Agnes Shipley Lehman; Gertrude Ewing; Mr and Mrs Dickinson; Paul Dickinson; Mr and Mrs A J Thompon[Thompson]; Grandpa Eaton[Oscar]; Maude Childs; Mr and Mrs Chris Borland; Mrs Workman; Mr and Mrs Stinehilber; Wilber Wilmont; Henry Platt. DW Montgomery, 119 Ladd St; Oswego, Oreg. Description Scanned as B & W; mounted on cardboard; faded & stains. Transcription Grandma Gage; Harry Borland; Agnes Shipley Lehman; Gertrude Ewing; Mr and Mrs Dickinson; Paul Dickinson; Mr and Mrs A J Thompon[Thompson]; Grandpa Eaton[Oscar]; Maude Childs; Mr and Mrs Chris Borland; Mrs Workman; Mr and Mrs Stinehilber; Wilber Wilmont; Henry Platt. DW Montgomery, 119 Ladd St; Oswego, Oreg. Physical Description H 5" x L 6 1/2"